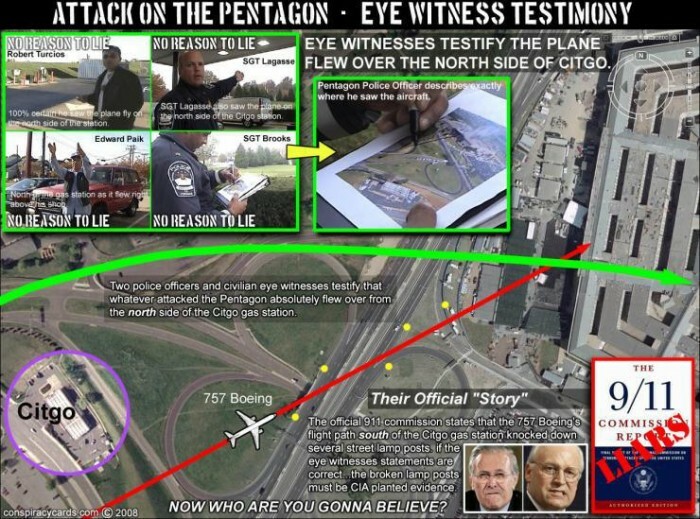 Just because the eyewitnesses have no reason to lie, that doesn’t mean they got their directions right. Some people can’t tell their left from their right. Are we really still talking about this….10+ years later. You can put out all the meme that won’t make it true.